VANCOUVER, B.C. - Since the HeraldTribune.com reporter Billy Cox was the recipient of the 2005 X-Conference Courage in Journalism Award, and I was privileged to be the recipient of the 2007 X-Conference Lifetime Achievement Award, and since we are both Exopolitical journalists (I host EXOPOLITICS RADIO www.exopoliticsradio.com), I will try to be more the gentle but firm teacher rather than the caustic critic to the Herald Tribune’s and Billy Cox’s uninformed, unexpected, and shall I say – transparently biased - attack on Exopolitics. On my recent USA trip to speak at the 9/11 Anniversary conference in New York (Sept 8-9, 2007), I was savaged in a similar “uninformed, unexpected, and shall I say – transparently biased - attack article” (See below) by the Weekly Standard, the NeoCon magazine with deep PsyOps disinformational connections, through its Neo-Zionist Editor William Kristol, Chairman and Co-Founder of the Project for a New American Century. The Project for a New American Century is responsible for the intellectual infratstructure of the New World Order, ranging from the weaponization of space; the War against Islam; War in Iraq, and possible War against Iran (read possible World War III). Leftwing causes converge with the 9/11 denial movement. The next weekend (Sept 13-17, 2007), based on the following Press release, Washington Post reporter and Skull & Bones member Dana Milbank falls into a now familiar journalistic pattern first laid by the Weekly Standard. Dana Milbank is asked about his Skull & Bones membership in this BBC documentary. See Also: Fleshing Out Skull & Bones (Investigations into America’s Most Powerful Secret Society) by Kris Millegan (Trineday: 2003) for more detail on the relationships between the Rockefeller, intelligence, and permanent war economy and the forces that have kept the Extraterrestrial Truth Embargo in place since the late 1940s. Here is that Press Release I gave to Skull & Boneser Dana Milbank. Compare it to the content of Dana Milbank’s article. X-Conference Lifetime Achievement Award Winner, Leader of Carter White House Exopolitics Study To Call for Truth-Amnesty Process & Disclosure of ET-derived, Environmentally safe New Energy sources. “As part of maintaining this secret sequestration, numerous constitutional and legal structures have been violated, and the constitutional decision-makers – the US President, the Congress, and the Courts as adjudicators, have been kept from knowledge of these secret liaison programs, as has the Fourth Estate – the Press - and our Scientific and Educational formal knowledge establishment,” Webre affirmed. “A well-funded U.S. military-intelligence disinformation campaign has been put into place to virtually destroy any knowledge about Universe society and advanced extraterrestrial sciences,” Webre said. Webre will approach each of the Presidential candidates in the Democratic, Republican, Green Party and other parties to review and incorporate the Truth Amnesty Disclosure process into their 2008 Presidential platforms as an avenue to confront our environmental crisis with New, fuel-less non-polluting energy sources. Alfred’s EXOPOLITICS RADIO program, which supports Truth-Amnesty Disclosure, is heard weekly on KPHX Phoenix, Nova M Network. As a fellow Award winner at the X-Conference, I find it alarming that reporter Billy Cox does not attempt to educate the reading public on the principles of Exopolitics. Namely that Exopolitics is the new political science of outer space, and the science of relations between our human society and advanced intelligent civilizations in the Universe. So the very FOCUS of Exopolitics includes Extraterrestrial civilizations – their nature, and perspectives – what are they like, what do they think, how are ETs approaching humanity. 2004 X-Conference – I did not attend the 2004 X-Conference, because of visa problems with Canada and the USA. My Canadian citizenship was pending and I could not leave Canada. However, prior to announcing the X-Conference, host Stephen Bassett called me and asked my permission to use the term “Exopolitics” in his conference, as the term had been originated in my book EXOPOLITICS: POLITICS, GOVERNMENT AND LAW IN THE UNIVERSE. I thanked Steve Bassett for his generous gesture. Thus the Awards that both Billy Cox and I won were, ultimately, premised on the concepts developed in the book EXOPOLITICS (and other books). Now, I hope Billy Cox has read my book EXOPOLITICS. Because if he hasn’t he has committed a cardinal sin against journalistic ethics. Which is to diss an author without reading his book. Maybe Cox should give his Award back, seeing as it was for Exopolitics reporting. 1. 2005 X-Conference Lecture - Billy Cox attacks me in his article for standing up for the Martians, as though that were a non-sensical and stupid gesture, and a particularly bad thing to do if I want to attract member of the USA media (supposedly like William Crystal of the Weekly Standard, Skull & Bioneser Dana Milbank of the Washington Post, and Billy Cox of HeraldTribune.com). No, Billy, it is not a stupid thing to do. It is a wise, far-seeing and moral decision to resist the “Bad ET False Flag Scenario”. I am the International Director of the Institute for Cooperation in Space (ICIS), whose President Dr. Carol Rosin was informed on his deathbed by Dr. Wernher von Braun, when both were at Fairchild Industries, that after the collapse of Communism, a false War on Terror would come (How many 9/11 articles have YOU written, Billy? ), followed by a false “War Against the Asteroids” followed by a False Flag Invasion of Earth by the “Bad ETs – all as justifications for the permanent war economy. That is why I advocated a boycott of racist films like ‘War of the Worlds” and why I think propaganda films like “Mar Attacks” and “Independence Day” are designed to fill the same space-weapons agenda. Moreover, Billy, as an “Award-winning Exopolitical journalist”, you should educate the public as to what Exopolitics really means. In Part IV of the book EXOPOLITICS, we set out a program for public interest diplomacy with Off-Planet Cultures. The initial case study we propose is that of an apparent advanced civilization living in cities under the surface of Mars, as suggested by replicated experiments using scientific remote viewing (RV). It is extremely accurate, under proper protocols, as an espionage technology. Thus, in Exopolitics, we construct active programs for liaison with advanced intelligent civilizations, such as those who may living be under the surface of Mars. I suggest you read the experimental design before dismissing it to the reading public. Otherwise, you are simply repeating the disinformational schema of the past under a new disguise, as an “Award-winning journalist”. 2007 X- Conference: There is nothing to me to apologize for or re-think in my Press Briefing at the National Press Club. I proposed a Truth Amnesty Disclosure Process, as one of seven or eight speakers. Truth Amnesty is logical and it is also a process reportedly recommended by the specific Extraterrestrial civilization that has been in secret human-ET liaison programs with the US military intelligence, as reported by Jim Sparks and others. 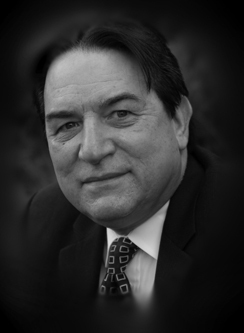 Jim Sparks has been vetted by Exopolitical scholars like Dr. John Mack and Linda Moulton Howe. Jim Sparks has been a guest on EXOPOLITICS RADIO, which weekly now has been pushing for Truth Amnesty as the only way through to full Disclosure. All of this has been public record for over 10 months prior to the X-Conference. Moreover, my Canadian colleagues at Exopolitics Toronto think that Skull & Boneser Dana Milbanks’ article is a breakthrough for true Exopopolitics. The Washington Post and Dana Milbanks are now engaged. And it was by expressing the EXTRATERRESTRIAL’S VIEWPOINT (the whole point of Exopolitics) that we engaged them. What do you say to the Canadian letter, eh? It punches through your superficial, ad-hominem, rather curious analysis, Billy. You would want us Exopoliticans to hide any references to actual Extraterrestrials so that the likes of you and Dana Milbank can write the Truth? I actually do not trust your analysis, or your motives at this point. The whole point of my National Press Club Press statement was the establishment of a Truth & Reconciliation commission that would be able to grant Amnesty and get our human civilization beyond the dualism of the permanent war economy into true mission of a sustainable, peaceful cooperative space Age society. Amnesty and reconciliation releases advanced technology meant for the benefit of the biosphere into the public domain. Upon leaving the National Press Club on September 17, 2007, after a collegial lunch with Dr. Michael Salla planning a future Exopolitics Conference, I went to National Airport to catch my flight back to Vancouver Canada. As I checked in my bags, I looked over and saw a classmate of mine from Yale Undergraduate, John Ashcroft, George W. Bush former Attorney General, who was A.G. on September 11, 2001, the day of a False Flag Operation coup against the USA. He was sitting waiting for a plane. I had not met John Ashcroft before, so I introduced myself. We talked about our residential colleges at Yale, and then I said that I had just come from the National Press Club, and has published a book EXOPOLITICS on the relations between our human civilization and other civilizations in the Universe. “I usually let others make up their own minds,” I replied. “No, but do you believe there are”? Ashcroft asked. John Ashcroft’s eyes opened with interest. “I’ll send you a copy of EXOPOLITICS to read,” I said, as we parted. If I had met John Ashcroft the weekend before in the 9/11 War Crimes Tribunal retributive justice mode (An Eye for An Eye), he would have been Public Enemy Number One. This weekend, after announcing a Disclosure Truth & Reconciliation process, I felt that the principles of Restorative Justice had created an opportunity for me to present Exopolitics to former Attorney General John Ashcroft, and perhaps to open a dialogue leading to some Truth – maybe both in 9/11 and Disclosure. Oh and Billy.....For the record, we have talked to Dennis Kucinich at length about the Expolitics issue, in person. What Dana Milbank in his article failed to mention is that he did not call the Kucinich Campaign staff for comment in his article. He called Dennis' Capitol Hill office. They are separate entities. Skull & Bonser Milbank did cheap Gotcha journalism and failed to reveal that to the public. Yes we are watching, closer than you might think. In 2005, at the 2nd Annual Exopolitical Expo X-Conference in Gaithersburg, Md., Canadian attorney Alfred Webre urged his audience to boycott Steven Spielberg’s upcoming “War of the Worlds” because it was libelous — to Martians. The director of the Institute for Cooperation in Space condemned the film for putting “more humans into fear and paranoia mode” of their alien brethren, at a time when Earthlings should be embracing their celestial neighbors with hope and optimism. I remember thinking, despite some truly compelling speakers during that weekend in April, if the mainstream media were here (they weren’t), Webre’s theatrics would top the charts and overshadow everything else. Two years later, during Monday’s X-Conference wrapup at the National Press Club, Washington Post political analyst Dana Milbank showed up. Front and center of his coverage? Webre’s contention that the extraterrestrials themselves are behind the push for disclosure hearings on Capitol Hill. It’s not Milbank’s fault that he went for the obvious. That’s what Beltway guys do. If Webre hadn’t handed him a loopy lead, Milbank would’ve found another. The truth is, Richardson created his own UFO problem, which he has yet to account for (more on that next time). But for the Washington press corps, this subject has become such a longstanding pull-my-finger gag, showing more than a cursory interest amounts to a character flaw. With coverage like this, even a spokesperson for lowly Dennis Kucinich — polling at 1 percent in the Democratic primary race — could blow off Milbank’s request for a response as an insult (online at http://www.washingtonpost.com/wp-dyn/content/article/2007/09/17/AR2007091701780.html?hpid=topnews). Maybe what the disclosure movement needs are sharper graphics with brighter colors? Responded to EXOPOLITICS RADIO listener: "Disclosure not on our platform." Responded to EXOPOLITICS RADIO listener: "Will take a look at Disclosure." So far, 21st Century North American public opinion is ahead of the 20th Century scientific canon. The 2002 Roper poll on “Extraterrestrial & UFOs: American beliefs and personal experiences”, using rigorous scientific polling methods, found that about half (48%) of U.S. adults believe that intelligent off-planet cultures are now visiting Earth, and that two-thirds (67%) of U.S. adults believe in the existence of intelligent life in the Universe. Moreover, 72% of U.S. Adults believe the U.S. government is not telling all it knows about Extraterrestrial craft visiting Earth. 14% of Americans say they have had a close encounter, and 2% have had an encounter with Extraterrestrial life. Among those who believe in abductions by Extraterrestrials, 33% claim they either experienced or know someone who experienced a close encounter with Extraterrestrial life. In the seven years since 2000, nation-states have begun to make public disclosure of formerly secret UFO/ET information. Since 2000, former government officials have also given public evidence to the presence of Extraterrestrial civilizations on Earth. 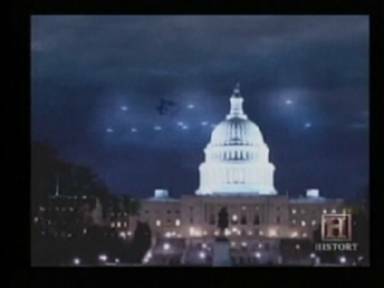 On May 9, 2001, a group of witnesses from over 100 high-level governmental, political, military-intelligence witnesses – a number of whom are here at the X-Conference - to the presence of Extraterrestrial civilizations on Earth stated their testimony at a Disclosure Project press conference in Washington, DC. In 2001, Dr. Carol Rosin, President of the Institute for Cooperation in Space (ICIS), reported whistleblower scientist Dr. Wernher von Braun’s warning that U.S. military-intelligence agencies planning an anti-Extraterrestrial war False Flag scenario, as part of a larger scheme to justify the massive expenditures necessary to weaponize space. On September 25, 2005, Hon. Paul Hellyer, former Minister of Defence and Deputy Prime Minister of Canada, declared that “UFOs are as real as the planes over your head.” Hellyer warned, "The United States military are preparing weapons which could be used against the aliens, and they could get us into an intergalactic war without us ever having any warning.” Mr. Hellyer also states he would like “to see what (Extraterrestrial) technology there might be that could eliminate the burning of fossil fuels within a generation ... that could be a way to save our planet." In March 2007, former Arizona Governor Fyfe Symington recanted public shortly after the 10th anniversary of the Phoenix Lights and stated on national television that he had witnessed a 2 mile-wide Extraterrestrial spacecraft sighted by over 10,000 persons as it glided silently over Phoenix, AZ on March 13, 1997. Human subjects in secret Extraterrestrial-human liaison programmes have come forward with detailed inside disclosure information. As of 2006, published anthropology-like field reports by abductee Jim Sparks document reportedly genuine ET genetic farming and education programs by a specific Extraterrestrial species. These ETs appear to be simultaneously engaged in highly classified Human-Alien technology liaison programs that have given time-travel teleportation technology to highly secret U.S. Military-intelligence projects. Jim Sparks and other whistleblowers have provided collaborative evidence as to why the proposed 1977 Carter white House Extraterrestrial Communication Study was peremptorily terminated by Stanford Research Institute (SRI) and the Department of Defense in October 1977, after receiving White House staff approval. The U.S. military had reportedly exclusive, ongoing, secret human-Extraterrestrial liaison programs, under which they had acquired advanced energy technologies, including time travel teleportation technologies as Jim Sparks describes. This is the core reason for the Extraterrestrial truth embargo. The U.S. military-intelligence sector sought to enforce exclusivity with a specific extraterrestrial civilization in an advanced technology transfer arrangement, at least from the U.S. military-intelligence point of view. They surrounded this top secret human-ET liaison program with a levels of disinformation, psychological warfare, Men-In-Black, harassment and assassination programs designed to lull the mass consciousness, block direct civilian-ET contact, and block independent research into Extraterrestrial issues – Exopolitics. The proposed 1977 Carter White House Extraterrestrial Communication Study was an early lesson in Exopolitics. The U.S. military-intelligence agencies wanted to maintain an exclusive relationship with this specific Extraterrestrial civilization, and hence an independent scientific ET communication study, based in the White House, the National Science Foundation, and the futurist center at SRI had to be stopped for this secret exclusivity to be maintained. That was 1977. This is 2007, almost 30 years later to the day. The big question is: Why is Disclosure and human understanding accelerating now, since the year 2000? The Exopolitics Model – A Cosmic Trigger? The Exopolitics Model, first published in 2000 and presented in June 2000 at a scholarly conference at the University of Wyoming chaired by Prof. Leo Sprinkle, may be one candidate for triggering a crucial sea change in human perception. Exopolitics is the new political science of outer space, and is the science of relations between our human civilization and advanced civilizations in the Universe. The Associated Press reported that Exopolitics was nominated for 2005 new Word of the Year. The Exopolitics Model is the obverse of the 20th Century canon of science, which held that all Intelligent life ends at Earth’s geostationary orbit. The Exopolitics Model holds that we live in a highly populated Universe, filled with intelligent, evolving civilizations operating under Universal law, with governance systems and mediated by Universe politics. We on Earth are just becoming aware that we live in a populated Universe. Like all models, Exopolitics provides a path for minds to go where they had not ventured before. The Exopolitics Model provides the interface between human and Extraterrestrial societies. The Exopolitics Model is a human version of the 100 monkeys syndrome, that 100 monkeys washing their yams one one island will result in all monkeys washing their yams. Exopolitics allows us all to internalize a truth: that we are part of a populated Cosmos and that the neighbors are outreaching to us at this time. Perhaps the Exopoliticians washing our yams – and I am going to ask you to wash some collective yams in this presentation - at this X-Conference can be the critical mass to shift a paradigm. As Thomas Kuhn (The Structure of Scientific Revolutions) has written, scientific revolutions come about in paradigm-shifts, in sea-changes about the way that our entire human species chooses to see its reality. No amount of scientific data will change any single individual’s mind about humanity’s living in a populated Universe, filled with diverse advanced civilizations, some of which are seeking to engage us now. Each person has to want to change their own mind, on the basis of available data and context. Where do you stand on the interactive and participatory Exopolitics scientific revolution? The Exopolitics scientific revolution is unique because it is interactive and participatory. That is, the more we interact and consciously participate with advanced, ethical Extraterrestrial societies that are outreaching to us at this time, the faster our reality paradigm may shift. Let me illustrate briefly with a recent important case for Exopolitics. The Chicago O’Hare Sighting of November 7, 2006, as seen through the lens of the Context Communication Theory of Extraterrestrial Communications. Similarly, a UFO encounter – provided it is genuine and not an ARV encounter – may be interpreted as a multi-dimensional communication. At approximately 4:30 p.m on Tuesday November 7, 2006, federal authorities at Chicago O'Hare International Airport received a report that a group of twelve airport employees were witnessing a metallic, saucer-shaped craft hovering over gate C-17. According to eyewitness reports, the strange object was first spotted by a ramp employee who was "pushing back" United Airlines flight 446 which was departing Chicago for Charlotte, North Carolina. The ramp worker then apprised the flight crew of UA446 of the existence of the spinning, metallic object above their aircraft, and it is believed that both the pilot and co-pilot of this aircraft also witnessed the object at that time. According to John Hilkevitch of the Chicago Tribune in an interview on CNN's 'Glenn Beck' Program: "The disk was visible for approximately two minutes and was seen by close to a dozen United Airlines employees, ranging from pilots to supervisors, who heard chatter on the radio and raced out to view it." The UFO was then seen to suddenly accelerate straight up through the overcast skies. Witnesses reported that the object left behind an open hole of clear air in the cloud layer and that the mysterious hole disappeared or "closed" within a few minutes. So far, no video evidence of the UFO has surfaced even though photographs claiming to be the UFO sighted at O'Hare have surfaced on the internet. Both United Airlines and the FAA first denied that they had any information on the O'Hare UFO sighting until the Chicago Tribune, who was investigating the report, filed a Freedom of Information Act request. The FAA then ordered an internal review of air-traffic communications tapes to comply with the Tribune FOIA request that subsequently uncovered a call by the United supervisor to an FAA manager in the airport tower concerning the UFO sighting. The Chicago O'Hare airport UFO story was picked up by various major mainstream media groups such as CNN, CBS, MSNBC, Fox News, Chicago Tribune, NPR, reported in a straightforward fashion. A United Airline pilot came up to me after the ECETI Conference and stated that he had flown into United Gate C-17 many times, and that the ground personnel there would have reported the event accurately. Threshold test: Is this an ETV or an ARV? I have not discovered an easy test for the smaller scout vehicles. The 1997 Phoenix Lights case, with a 2-mile wide space craft is in the opinion of ET craft experts – an ET CRAFT. My conclusion is that the O’Hare sighting is an ETV unless proved otherwise, because of the full context of the sighting. What is the central fact of this CHICAGO OHARE communication in an exopolitics context? SYMBOL INTERPRETATION #1:November 7, 2006 – the date of this major ET incursion into Chicago OHare - was date that the usa election took place and the Democrats regained control of both houses of the usa congress. Neo-Cons lost monopoly control over 3 branches of govt. Demos win control of senate & house of reps.
By the CCT, November 7, 2006 is a major symbolic component of the communication that is taking place in this encounter/communication from a higher intelligent source. The ET craft sighting is a communication about the significance of the Electoral process in (a) the agenda of the ET civilization and (2) how human civilization can become more like advanced, ethical ET. Patriot act i and ii. What effects have advanced ethical extraterrestrial civilizations had on promoting a progressive agenda in the usa? In demoting a reptilian agenda in the usa? 9/11 as Martial Law in the USA – Flight 102; The Military Commissions Act; Patriot Act I and II;The attack on Iran – trigger to WWIII. Terminal C – The public will begin to SEE this. B- Global warming – The world ends in ice. C – The See Future – An exopolitical future where humankind through the interface of Exopolitics can link up with a larger, organized Universe society. That the et issue will have a role in us elections? That an exopolitics platform will have a role in 2008 us elections? WHY CHICAGO? Ask Chicago Mayor Daley & Barack Obama; Hillary Clinton? The future of Exopolitics will develop on multiple tracks, in multiple dimensions, all in interactivity. Proposal: That a Truth-Amnesty Disclosure Process be undertaken by the U.S., U.N. other national government, or failing that a competent grass-roots governance body, empowered to offer amnesty from criminal prosecution in return for transparent disclosure of secret-human Extraterrestrial liaison programs, and the advanced energy systems transferred and developed thereunder, and their release under open source agreements into the open market. Truth-Amnesty Disclosure process is a promising avenue for Exopolitics because the embargo on the Extraterrestrial presence is based upon U.S. military-intelligence wanting to keep its top secret human-Extraterrestrial sequestered from public, non-military scrutiny. The motive of the military-intelligence agencies has been to maintain a monopoly on the advanced energy technology reportedly transferred and re-engineered for human use. This advanced technology includes, we know from corroborative sources, advanced time travel and teleportation technology that would virtually revolutionize the transport of people and goods on this planet. As part of maintaining this secret sequestration, numerous constitutional and legal structures have been violated, and the constitutional decision-makers – the US President, the Congress, and the Courts as adjudicators, have been kept from knowledge of these secret liaison programs, as has the Fourth Estate – the Press - and our Scientific and Educational formal knowledge establishment. In fact, a well-funded disinformational reality has been put into place to virtually destroy any knowledge about Universe society and advanced extraterrestrial sciences. Moreover, individual employees and officers within the national security state have over the course of six decades committed what would amount to a Tsunami of criminal acts under the U.S. Constitution and the U.S. criminal code against the U.S. government, the civilian population, and untold properties and enterprises. I would argue that these acts rise to the level of war crimes under the Rome Statute of the International Court: Crimes Against Humanity; Aggressive War; Genocide; and War Crimes. That the acts were done in the course of a military-intelligence program of psychological warfare to protect secret human-Extraterrestrial liaison programs may or may not be a valid defense to criminal prosecution, depending on individual circumstances. Disclosure must address this Gordian Knot – that individuals within the national security state who have knowledge of secret Extraterrestrial-human liaison programs, and of advanced energy technologies may want to disclose these, and cannot come forward for fear of criminal prosecution. Otherwise, we will continue to seek Disclosure as we have done in the past, with the same results. The motivations of the specific Extraterrestrial civilization in transferring these advanced technologies to U.S. military-intelligence has been widely debated in the Exopolitical community. One perspective is that these specific civilizations are “Manipulative,” or Machiavellian in terms of human social psychology. There is an alternative perspective, however. That perspective is that the civilizations are in the words of one observer “different” from human psychology. 1. The Extraterrestrial civilization has been in secret human-ET contact and secret agreements were made, which contained clauses as to when the presence of the ETs would be made known. These terms have been disregarded by the US military-intelligence. Crimes were committed by the US military intelligence in connection with these programs, in which the ETs had not part. 2. Emergency secret agreements were undertaken by the ETs because the planet was in peril; because the human population had to be acculturated to their presence; because advanced technology and advice had to be applied to restore the environment. The environmental applications have been ignored. 3. The ET technology which the US military-intelligence and elite possess can restore the ecological balance and transform the permanent war economy. 4. A complete amnesty is necessary so that the full technology and know how of the ET presence can be applied to restore the earth and move away from the permanent war economy. The logic and calculus of these statements seems transparent. We know independently from whistleblowers that each of these statements appears to have a basis in fact. Logic would dictate then that our Disclosure strategy should incorporate a Truth Amnesty process with it. If what the whistleblowers and the reported ETs are saying is true, absent an Amnesty Process, we do not have much of a chance of Disclosure by the U.S. military-intelligence, which is a core agency maintaining liaison programs with ET civilizations at this scale. On the other hand, by constructing a Truth Amnesty Disclosure program – as reportedly recommended by the participating Extraterrestrials themselves – we can begin to create a framework for the altogether human psychology of the military-intelligence agencies, and those White Hats therein who may want to follow through on the original intent of the secret agreements – to restore the earth and transform the permanent war economy. This declaration of Exopolitical rights has 3 audiences. On audience is ourselves – the indigenous, grass-roots, 6 billion plus salt of the earth. A second audience is the matrix, the elite – the matrix of institutions who purport to represent us, but who in fact bring us the permanent war economy – in various flavours and textures, and a continued ET embargo. The third audience are the Galactic governance authorities – the Galactic federation, upper dimensional ethical civilizations who would be our prime allies in planetary evolution and graduation into galactic citizenship. This interactive, participatory, key track is active Exopolitics – Public Interest Diplomacy with the Extraterrestrials themselves. There are multiple Citizen Diplomacy movements, ranging from CSETI to Galactic Diplomacy to ECETI to Exopolitics Institute to the STAR DREAMS INITIATIVE (ICIS), each of which seeks direct interaction with advanced, ethical extraterrestrial civilizations and with Governance bodies like the Galactic Federation where human governments have either embargoed or stood by. Thus far, on the whole, our Exopolitical movement focused through these individual programmes. We may need to accelerate the critical mass. A non-intervention ethic may be holding back these upper dimensional ETs, and we humans need to assert our rights for a two-way process to strengthen and get underway. Here is what Victor Viggiani, of Exopolitics Toronto and a colleague in the Canadian Exopolitics Initiative wrote after hearing Michael Salla and myself talk about the subject on EXPOPOLITICS RADIO. sustained level of communication and contact with off-world civilizations. people." Victor Viggiani, with permission. You get the drift. The goal of this exercise is to create a social reality, and affirm a social right. And to work on this collectively as a body, so as to facilitate interface with upper-dimensional ethical Extraterrestrial civilizations who wish to advance our evolution. These may be constrained by non-intervention protocols. The Galactic governance authorities, whom we have some basis to know exist through advanced remote viewing, may also feel there is not yet a critical mass, a quorum of humans. For those who are interested in this aspect of the Galactic Federation, please consult STAR DREAMS INITIATIVE www.peaceinspace.net - or EXOPOLITICS: POLITICS, GOVERNMENT AND LAW IN THE UNIVERSE. Preventing the development of a critical mass is a specific target of the permanent war economy. There are many individual citizen diplomacy initiatives underway. That is to be supported and commended. These are not, however, directed specifically toward building a critical mass of awareness. I submit this response to you regarding Mr. Dana Milbank’s coverage of the X-Conference 2007 Press Conference that appeared in the Washington Post recently. For your review and discerning action. I wish to congratulate you on your coverage of the X-Conference 2007 Press Conference at the National Press Club on Sept 17, 2007. As a journalist for one of the pre-eminent newspapers in America you have acknowledged the issue of an Extraterrestrial presence in a most forthright manner. In doing so The Washington Post has paved the way for the American Press to follow your lead and bring the truth forward. This will now allow editors and investigative journalists to commence an in-depth and systematic evaluation of the huge body of evidential information residing in the public domain and in possession of the American government - information clearly indicating that craft of unknown origin, using technologies and energy sources far beyond commonly accepted norms are in fact visiting the planet. To stand-down from further examination or to ignore the body of current and historical information within the records of SAC, the USAF, US Navy, Army NORAD, FBI, CIA, NRO and other similar military and intelligence agencies, would be a serious infringement of the American peoples’ right to know and quite frankly a patent disregard for the obvious. This is especially true on the eve of the up-coming US elections - to have all candidates review and take a direct position on this critical information. In all honestly Mr. Milbank, America cannot endure another four years of hidden truths, myopia regarding the largest issue to face humanity or the continued total immersion of its people and government in a war based economy based on fear. A public and open dialogue about this issue will free a country once noted for truth and openness. You Mr. Milbank now have the capacity, by means of a sustained follow-up to the Washington Post article, to alter the outcome of the next US election campaign and ultimately - who may assume the Presidency. As a matter of fact you and the Washington Post may be one or two articles or one Press Conference away from the greatest journalistic coup in history. 1. Meet with your editors to determine a course of action that will replicate the Washington Post editors' decision to allow Woodward and Bernstein to investigate at that time, apparent illegal White House activity that eventually brought down a President. As one who has been involved in the journalistic and political aspects of this issue I can guarantee you, with absolute and unconditional certainty, that the information available in the open light of day as well as the information in the possession of American and international intelligence agencies, is one hundred-fold superior to and more voluminous than the entire body of information accumulated by all investigators and government prosecutors concerning Watergate. 2. Arrange to meet with Stephen G. Bassett – host of the X-Conference – to obtain an in-depth briefing of what actions are needed to pursue this issue further. I do not engage in hyperbole when I say that Mr. Bassett’s insight into the issue is quite possibly the most well-defined and objectively knowledgeable perspective currently available in America and in the international theatre. 3. If you so wish, contact me and I can put you in direct contact with a former Minister of National Defense in Canada who will substantiate the need for an investigation of the most comprehensive kind. Your commitment to this new reality of news is indeed laudable and in doing so you have, with the support of your editors, opened the door to a possibility of news reporting that can and will change the face of America. I trust you will take time to ponder this communication and I remain available to assist in any way. There is a point that is reached when the release and learning of a truth is infinitely more desirable than anything that might be gained by punishing the offenders that covered up the truth of an event in the first place. It frees up people to talk without fear of implicating themselves, and in so doing, the truth is openly revealed. There are many examples of when such forgiveness has been used, and the end of Apartheid in South Africa is a well-known example of an effective use of Truth Amnesty. It is particularly effective in major paradigm shifts. The understanding and acceptance of the fact that we are not the only ones in the universe and the idea that we aren't quite all we think we are is a huge paradigm shift on the order of magnitudes. Alfred Webre's recently announced disclosure strategy of Truth Amnesty regarding the ET issue is a necessary strategy if the Earth is ever truly going to go galactic. It's time to put down our guns and play with the big boys. This is not going to happen as long as we have nuclear weapons and worse pointed at each other and into space. The concept of Truth Amnesty is a spiritual concept that runs counter to our own way of thinking. The putting into action of this concept will allow us to enter into a new plane of existence, a new way of thinking and being. A world of peace, forgiveness and grace as opposed to revenge, hate and war. As Webre so eloquently puts it, it is a shift from a war economy to a sustainable economy. Webre recently contrasted retributive justice with restorative justice on his radio show Exopolitics Radio, Season 2, Episode 6, audio archive hyperlink http://exopoliticsradio.com/9-8-07.html. He explained retributive justice as it relates to the death penalty, imprisonment or some other kind of punishment in return for wrongs committed. Webre explained that restorative justice comes out of aborginal traditions in Canada, being that when a wrong is committed, balance has to be restored to the community. The problem of ET secrecy is a spiritual problem that requires a spiritual solution. Grace and forgiveness will represent a positive tipping point for our society when we can get there. It is a higher calling, and our departure from business as usual is long overdue and most appropriate to christen the Galactic Age. As we expect our leaders to step through this narrow gate, we as citizens must also let go of 'eye for an eye' and come out on the other side. Merely acknowledging an ET presence in our society is not enough if we cannot assume the responsibility of the changes that will come along with it. Dr. Stephen Greer of the Disclosure Project states in his book Hidden Truth, Knowledge that every aspect of our lives will change very quickly once this happens. For example, when we are faced with the reality that intelligent beings from other planets do exist, we will no longer see ourselves as disparate groups of people on a single planet, but we will see ourselves for what we are-a single family of brothers and sisters, all equal members living together on our shared home of Planet Earth. For this reason it is of the utmost importance that we awaken spirituality within ourselves. Not necessarily religion like most of us have grown up with that has to do with rules, regulations, judgement, etc. Religion has and can help people find and nurture the spiritual self, but it is not the only road. It should only be used if it is aid to a spiritual path. Religion and spirituality are not mutually dependent terms. God is larger than the constructs of thought that we build for him. There is a true story that reminds me about the importance of what we mean by the terms we use. Two men were talking about spirituality. The first said, "Hey, you sound like a Christian! Are you a Christian?" The second one said, "You tell me what you mean by Christian and I'll tell you if that's what I am." The second one knew that it is important to have terms defined in such a conversation. Otherwise, two people end up talking in different languages and not even realizing it. A word is only as effective as what we attach to that word. The spiritual side of man is the inner man. The body and the physical needs are the outer man. Just as man is created in two parts to make the whole-male and female, just as the brain itself is divided into two parts to form a whole-right and left, so it is with the spiritual nature of man. It is the unseen, but the spirit is the foundation of who we are and who we present to each other. Even though a man's spirit may not be seen with the eye, it is all around and ever present along with the body. It may be easier to understand spirituality in terms of death. When a person dies, that person's spirit is gone, and they aren't in the body anymore. What's left is which the spirit used to occupy. It's easy to think when looking at a corpse, 'that isn't the person we know. That person is no longer here.' And that would be a correct statement. We put emphasis on the body, but that is only half of the equation. If all we were was the body, we'd be dead. It is the spirit that lives within and throughout the body, and it is the spirit that transcends the body. The spiritual side of our nature is connected to every other spiritual presence in the universe. It is by this means that we are connected to each other and the Earth. The body can only be where it is, but the spirit is connected continuously with everything that there is. The body plays this out by seeking out other spirits in bodily form. We are social creatures because we play out within our bodies what is already going on in the spiritual. We look for friends because we are connected already friends. We seek out people to help us, because the spirit is already connected to a higher power. The spirit is not bound by time and space as the body/mind construct is. The spiritual part of us already knows. The body/mind construct has to learn how to work with with spiritual nature, and many times it is simply a matter of getting our mind out of the way of the spirit so that we can understand what the spirit knows. We must learn to acknowledge and feed the spiritual nature of man, Earth and the universe, just as we acknowledge and feed the body and just as we acknowledge and care for the Earth. Once we learn to do this, we will be able to assist in caring for and feeding the universal concerns. Until then we remain quarantined on our planet, fighting amongst ourselves and ready to do battle with anyone else we see as a threat. Federal law limits the participation of resident aliens in the political process. But it is silent on the role of extraterrestrial aliens. This loophole has not been lost on the life forms who arrived on these shores aboard flying saucers with little more than the antennae on their backs. After years of suffering without suffrage, these beings are now seeking to play a role in the 2008 presidential campaign. 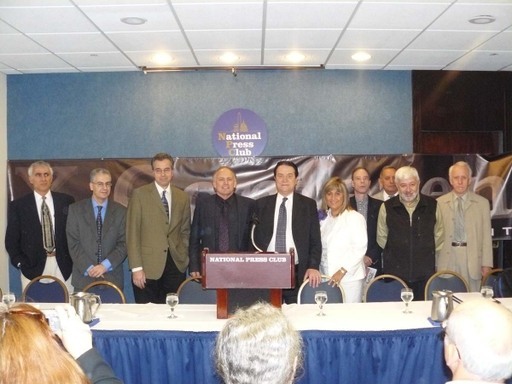 That, at any rate, is the considered opinion of the Paradigm Research Group, which held a news conference at the National Press Club yesterday to demand that presidential candidates support a "truth amnesty" to end the "government-imposed truth embargo on the facts confirming an extraterrestrial presence." "The truth amnesty disclosure project is reportedly recommended by the participating extraterrestrials themselves," Alfred Webre of the Institute for Cooperation in Space announced to the humans-only gathering, next door to a speech on Iraq by Rep. Jack Murtha. "That is the specific extraterrestrial civilization which approximately 60 years ago entered into a top-secret CIA human-extraterrestrial liaison program." The 2008 presidential cycle has already been an abnormal one, and the candidates yesterday resisted this attempt to turn the race toward the paranormal. "Let me check in with the mothership," Phil Singer, a Hillary Clinton spokesman, answered when asked about the truth embargo. "We're more focused on lifting the government-imposed truth embargo on issues like the war in Iraq," replied Bill Burton, a spokesman for Barack Obama. Dismissive answers such as these from the two Democratic front-runners leave an opening for other candidates to claim the alien vote -- a prospect that could create havoc in the primaries if large numbers of ETs are found to be living in Iowa and New Hampshire. The likeliest beneficiary: New Mexico Gov. Bill Richardson, who wrote a foreword to the "Roswell Dig Diaries," a UFO book. "As a 25-year-old he was an employee of a secret CIA extraterrestrial liaison program," Webre explained. "He has inside knowledge." But the knowledge must still be secret: His spokeswoman didn't respond to an inquiry. Also a favorite of the ET crowd is Dennis Kucinich, the Ohio congressman. "I'm sorry to out you, Dennis, but he knows a lot about this subject," confided Stephen Bassett of the Paradigm Research Group. "If he brings it forward as a presidential candidate, he's going to make some history." The Republican side is "really tough" for the UFO crowd, but Bassett gives his nod to John McCain, a former Navy pilot, over Ron Paul, who was an Air Force flight surgeon. "McCain has shown some displeasure with the way NASA has conducted its affairs," Bassett reasoned. More than anybody, Bassett has been working to elevate alien affairs as an issue in 2008. He filmed video questions for the CNN-You Tube debates; they weren't selected. He urged George Stephanopoulos to ask the candidates about ETs; no luck. He wrote an article titled the "ET Ticket" -- it gives the nod to Clinton and Richardson -- for publications such as UFO Magazine. And, fresh from the weekend's "X-Conference 2007" convention in Gaithersburg, he rented a room at the press club yesterday to announce "new efforts to introduce the UFO/ET issue into the ongoing presidential campaigns." An economy-minded Bassett didn't order a microphone for his event, and the "X-Conference" banner he bought on the Internet ("one-third the price of Kinkos!") was too big for the room and had to be continued on a second wall. About 40 X-Conference conventioneers packed the room, far outnumbering the handful of journalists. But none of this slowed Bassett, who treated the assembly to startling revelations: the "Jimmy Carter ET studies," the "Rockefeller initiative toward the Clinton administration to end the UFO truth embargo" and the "1967 Malmstrom Air Force Base incident, where our SAC missiles were shut down by an ET craft hanging over the base." Not one of the participants or audience members cracked a smile. Neither did they giggle when Webre proposed an environmental rationale for the ET amnesty program, saying the aliens' "advanced technology," which uses nonpolluting fuel, could "revolutionize the transport of goods and people on this planet and rejuvenate the biosphere." The faces remained serious and earnest when Robert Miles, a film producer, announced plans to give each member of Congress a high-definition DVD titled "Fastwalkers: They Are Here." On the cover, a mean-looking alien eyes the Capitol and saucers circle overhead. "Don't tell me the American public's not interested," Miles challenged. So far, however, the presidential candidates remain, well, alienated. Even Kucinich. "If you have a serious question, just ask me," Kucinich spokeswoman Natalie Laber replied when told of the UFO crowd's hopes for her boss. "If not, then just keep your silly comments to yourself."